Russian gas company Gazprom has agreed with Italian energy company Eni, German oil and gas producer Wintershall and French electric utility company EDF to purchase their 50% stakes South Stream Transport B.V. project company. Gazprom has become the owner of a 100% stake in the company, Russian news agency Prime reported on Monday, with reference to a Gazprom publication. "It is difficult to predict the permits for the South Stream pipeline project, and the economic consequences of the delay of its implementation for an indefinite period can’t be quantified, that’s why the participants of the project have decided to close the project," Wintershall said of the decision to sell its shares. South Stream Transport B.V. is a joint project company for the construction of the offshore section of the South Stream pipeline, which was supposed to be laid across the bottom of the Black Sea. The share of Gazprom previously was 50%, the Italian company Eni had 20%, while the French energy company EDF and the German Wintershall Holding GmbH had 15% each. 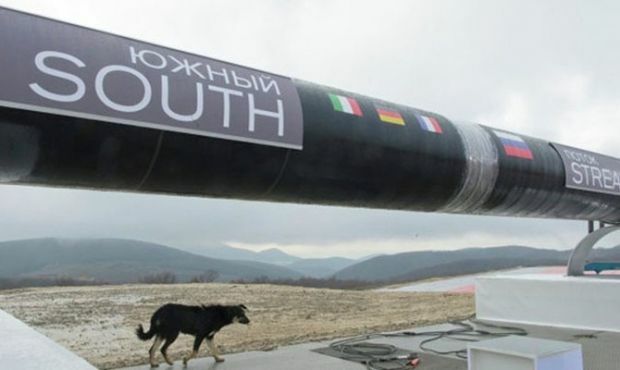 However, Russian President Vladimir Putin said on December 1 that Russia would not implement the South Stream pipeline project under the current circumstances. In his turn, the head of Gazprom Alexei Miller said that the South Stream project had been terminated. The South Stream pipeline project worth of EUR 15.5 billion was designed to supply 67 billion cubic meters of gas per year.